We are a small family farm in the Silk Hope area of Chatham County NC. Our goal is to farm as "sustainably"" as possible by using our animals to manage and improve the quality of our soil and forage and to maintain the environmental integrity of our farm. 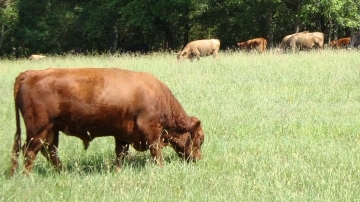 We are certified by Animal Welfare Approved as well as the American Grassfed Association. Feel free to contact us anytime if we can help you or answer any questions."